For the second time, I used 5,000 ThankYou Points to book a one way Air Serbia flight award flight. This time I booked a $323 flight from Prague to Belgrade for $25, meaning I got 6 cents per ThankYou Point because I understand the sweet spots of all frequent flyer programs instead of only focusing on American-based programs. I transferred and booked before the 30% American Express transfer bonus to Etihad miles was announced, which would have allowed me to book for 4,000 Amex points and get 7.5 cents per point of value. I transferred my ThankYou Points to Etihad Guest Miles, which is the frequent flyer program for Air Serbia and several other airlines. 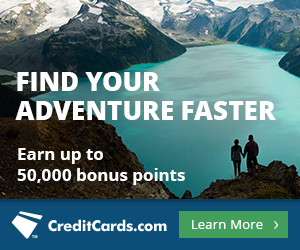 ThankYou Points are easy to get because the Citi Prestige® Card is offering 40,000 bonus ThankYou Points after $4,000 in purchases on the card in the first three months. Prague to Belgrade is 5,000 miles one way in economy and 7,125 miles one way in Business Class. For a two hour flight, I didn’t even want to pay 2,125 miles extra for Business Class. You do not pay fuel surcharges on Air Serbia award flights, only government taxes. Etihad miles are a 1:1 transfer partner of Citi ThankYou Points and Amex Membership Rewards, and you must transfer in increments of 1,000. Select “TRANSFER NOW” next to Etihad Guest. Type in the number of miles you want to transfer. You need to transfer in increments of 1,000. Enter your Etihad Guest frequent flyer number, and you’re done. The transfer is not instant. It took about one week for my Etihad miles to show up in my account last year. This time, the transfer took five days. I transferred Thursday afternoon, and the miles posted the next Tuesday afternoon. We have seen 25% transfer bonuses from ThankYou Points to Etihad miles before. 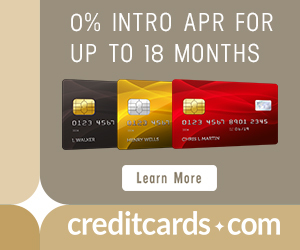 In April 2016, Amex Membership Rewards added Etihad as a transfer partner. There is a 30% transfer bonus from Membership Rewards to Etihad miles through June 15, 2016. To book an award, call 800-8-ETIHAD. I don’t know of any way to search award space beforehand, but all the short Air Serbia flights I’ve inquired about have had award space. I had searched flight times and prices on kayak.com, and the two daily Air Serbia flights were $323 one way. I asked the agent if there was award space on the day I wanted, and she said there was award space on both flights that day. This didn’t surprise me because there has been award space on every short Air Serbia flight I’ve ever inquired about. She quoted a price of 5,000 miles + 22.08 euros. This exactly matched the taxes on the paid ticket according to ITA Matrix, which were 597 Czech koruna. The award did not include the approximately $20 fuel surcharge that the cash ticket included. I received a confirmation email of my new ticket while I was still on the phone with the agent. I immediately went to airserbia.com and typed in the confirmation on the home page. I was able to select my seat, an aisle in the second row. In a few weeks, I am flying from Prague to Belgrade to start a big new undertaking (more on that in a future post.) The direct flight was a ridiculous $323, and even overnighting in Istanbul would only bring the price down to $130. Instead I booked the flight for 5,000 Etihad miles + $25. I got the miles by transferring 5,000 ThankYou Points, which means I got about 6 cents per ThankYou Point of value. Etihad Miles aren’t just useful if you want to go to/from Serbia. Etihad Guest Miles are also the miles of big airlines in Italy, Germany, and Austria. And you can also use Etihad miles to fly American Airlines flights for pre-devaluation prices. I guarantee second world carriers’ safety record is far better than being on the roads and many other daily activities for most people. I’m quite happy to fly any airline with any government’s approval. In etihad gusest, can you book an award ticket for someone else? So, Alitalia has MilleMiglie and Etihad frequent flyer programs? Etihad Airways Partners is a unique partnership between eight airlines, who have joined together to offer you more choice, with a combined network of over 350 destinations across six continents. This partnership between Etihad Airways, Alitalia, airberlin, NIKI, Air Serbia, Air Seychelles, Jet Airways, and Etihad Regional, delivers high standards of comfort and hospitality on the ground and in the skies. Convenience – one booking, one ticket for a journey with multiple airlines, bringing you and your luggage to any destination on our extended network. Rewards – as a frequent flyer member, you can earn and burn miles across all domestic and international routes* across all airlines. Choice – you can travel to over 350 destinations offered by the partner airlines. Comfort – fully-flat bed in Business Class flights longer than eight hours. Consistency – expect high standards of comfort and hospitality, no matter which partner you fly with. Using Etihad Airways hub in Abu Dhabi offers you excellent connecting flights on the routes between India to Europe and India, Australia to the Middle East and Europe or from Asia to Europe and Africa. Etihad Airways is proud that the result of this partnership offers coverage of key destinations in India, the Middle East, Europe and Africa to all of our guests. This partnership is the start of offering seamless connections with the best travel experience our guests can get across all of the Etihad Airways Partners. Fyi – atr planes are boarded from the rear so the second row is one of the last to exit. For the doubters, Air Serbia has one of the world’s best air safety records, and their planes have one of the best business classes in intra european flights. We flew lhr-belgrade for about 12k each in J, it was good service and a US style intra-continental seat. Just wanted to mention that it’s now easy to search Air Serbia award space on Alitalia’s website.